Poland’s many lakes and freshwater rivers offer robust trout fishing, a fact which is easily deduced by even a glance at Polish cuisine. Today we are featuring a simple trout preparation inspired by PSTRĄG PO GALICYJSKU, a classic Galician style trout found in the kitchens of Jewish cooks throughout Southern Poland and Austria. Traditional PSTRĄG PO GALICYJSKU is fried, where the recipe below is baked. The emphasis on incorporating strong flavors of garlic and horseradish has been retained. You will not be disappointed! Step 1) Rub trout fillets with garlic paste, then sprinkle with salt and pepper. Step 2) Place trout fillets on a baking sheet lined with parchment paper, and bake in a 400 degree oven for 15 minutes. 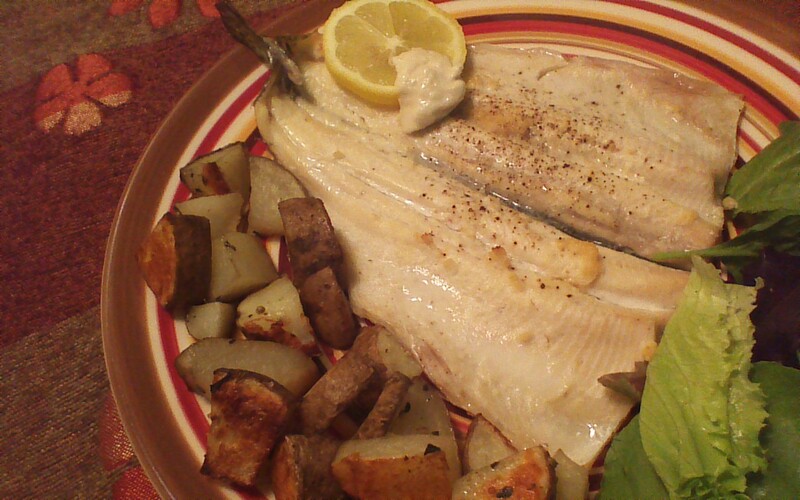 Step 3) Serve each trout fillet with a slice of lemon and a dollop of horseradish.